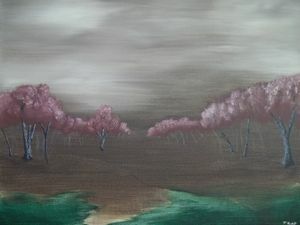 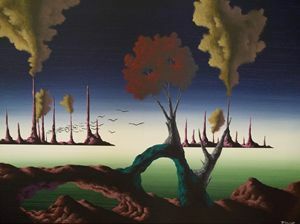 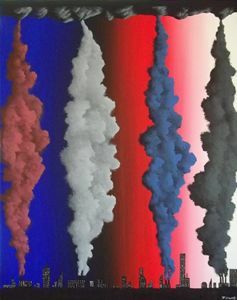 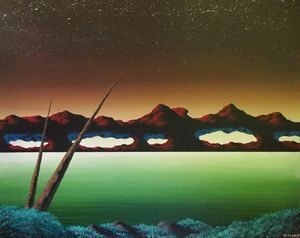 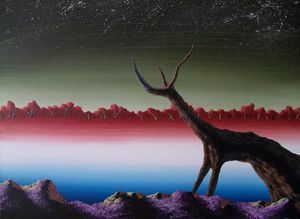 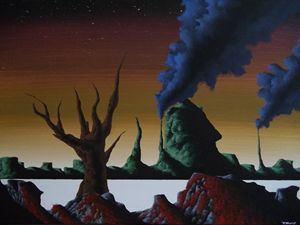 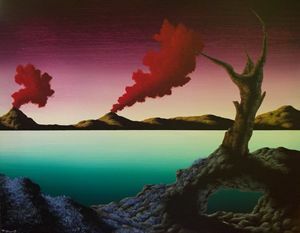 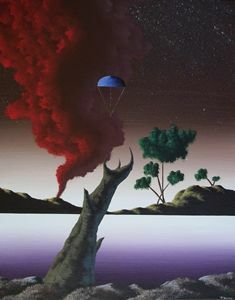 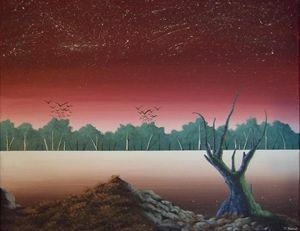 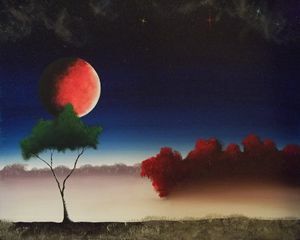 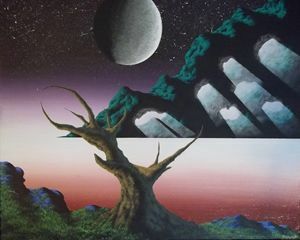 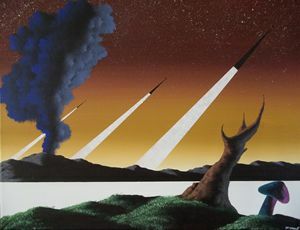 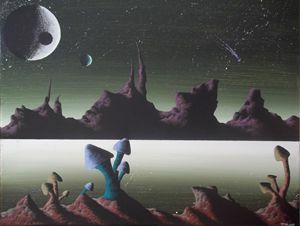 Original 8" x 10" x 5/8"
Surreal acrylic landscape painting by the artist known as J-Hump. 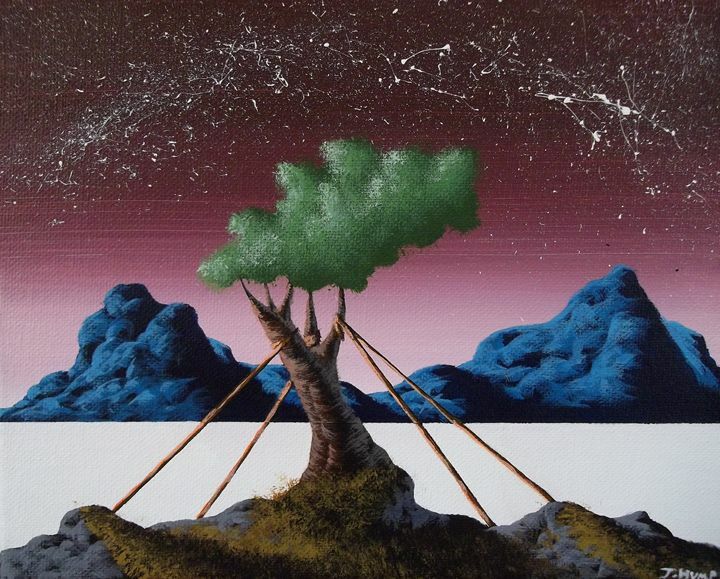 A green topped tree.Restrained from reaching the heavens by four orange ropes. 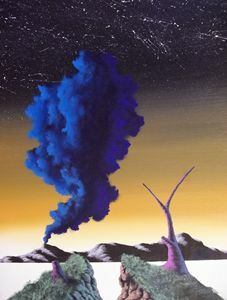 The base of the tree is yellow grass and gray rock.in the distance blue mountains float on the horizon.An unseen setting sun lights a beautiful purple sky as stars arch over head.